Validate your marketing efforts by being able to show metrics relating to strategies that will have the best results. Here are the most important 9 steps to an effective competitive analysis that will help you plan a much more effective strategy and game plan so that you can get ahead of your competition and grow your business. Start by making a list of your top 5-10 competitors. If you offer a number of different core products/services for which you may be competing with different companies for each, then make a list of competitors for each product/service. 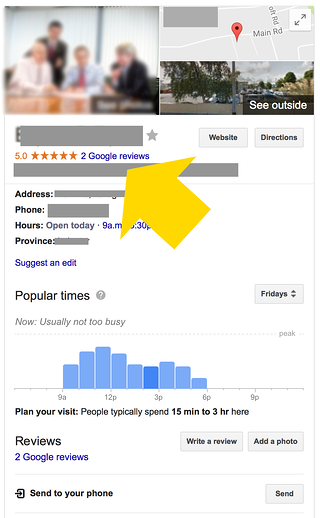 Use Google to do a search for the product or service you are offering to help you identify competitors. The value you provide with your content should be a key factor for differentiating yourself from other companies. Knowing what content your competitor's are publishing provides great insights and will help you work out a strategy to differentiate yourself. It will also help you figure out what their lead generation strategies are. Blog: Do they have a blog? If so what type of content are they posting and how often? Offers: Do they have offers like eBooks, Whitepapers, How to Guides, Checklists etc.? If they do why don't you download them and see what they're like. Visual Content: Do they have any video content? Are they using infographics, good quality images? What are the topics being covered using these? Podcast: Do they have a Podcast? If so what topics covered? Events & Webinars: Do they run events and webinars - if so how often do they do this? Do they provide written content for these? FAQ's: Do they have a FAQs section? If so what type of content is on it? News: Do they have a News section for Press Releases V's Blog content? Testimonials/Reviews: Do they have testimonials? If so what format - written, video etc? What are customers saying? Client Case Studies: Are there case studies? What do these include? Any useful stats or info? Social Integration: Do they have social media follow or share buttons on site pages? Are there opportunities to share content or landing pages? From the results, identify areas where you have gaps and areas you need to improve. If it inspires any ideas for new campaign's etc write them down! All of this information will help you craft a great content strategy. Navigation: Imagine you are a customer at different stages of the buyers journey. Can you find the information you want? Is it easier to find on their site than it is on your own website? User Experience: How is the user experience on their website - is it easy to use? Is it intuitive? Calls to Action: As a visitor, do you know what to do next on a page? Are Calls to Action (CTA's) on every page? Do they stand out? Do they lead to landing pages? Are there additional CTA's on 'Thank You' pages to take leads further down the funnel if they are ready? Landing Pages: Are their specially designed pages that offer something in return for your information? Are they designed using best practices? Sign-ups: How easy is it to sign up for newsletters or to download an eBook etc.? Special Offers: Do they have special offers? If so what types? Loading: Does the website load quickly? Responsive: Is their website responsive? i.e. does it work well on mobile devices? It's not just enough to look at their content and what message they are trying to communicate, you need to look at their SEO too to see if their are possibilities or opportunities to outrank them. This sounds complicated but it's relatively easy to get a good idea of what keyword's they are targeting. Figure out what keywords they are targeting and add those to your own keyword list if you want to be found for these words too and get ahead of them on SERP's. Believe it or not email marketing is still one of the top marketing tactic's that you could be employing. Email Frequency: How often are they sending emails? Email Times: Are they emailing at specific times? Newsletters: How often are these going out and whats the content like? Content: Are these lead nurturing ones or are they sales pitches? Are they trying to move you through the funnel? Device Optimisation: Are their emails well formatted on mobile and desktop devices? Reviews are really important and they can make or break a sale. If you were researching a potential purchase from a company wouldn't you want to know what people think? It's easy for business owners to put their best testimonials and reviews on their website because it's an asset they have full control over. Look outside of their websites. For example, search for the company name on Google and in most cases to the right you will see Google reviews in their business listing. Businesses can't control what customers write here. If someone wants to add a bad review about the business the business itself has no control over that. Look at other sites too like Yelp etc. Profile: How is their profile? Fans & Followers: How many fans and followers they have? Posting Frequency: How often they post to that platform? What are their reasons for posting ? Direct to their blog or specific landing pages? Content Curation: Are they sharing curated content? if so from where? Purpose: What they are using social media for? Is it just marketing or are they using it for things like customer service or support too? If you have buyer personas in place you should already know what social media platforms your ideal clients are using but this can give additional insight. If you notice any spikes in dips in social media performance on one channel or all channels be sure to try and figure out what caused them. What content is being promoted? How it is being promoted? Does the content lead to special landing pages? What channels are they using paid advertising on? Remember, not every company will run paid advertising campaigns. Some businesses rely on blogging regularly with well written, useful, optimised blog posts (for SEO) that are targeting the right audience. Now you have all your research information, remember that 'knowledge is power'. Use it as an input to planning a rock solid digital marketing strategy and putting a plan in place to implement. Remember though...that you are not your competitor! Some of your competitors may have higher marketing budget's available to them and as such may be able to allocate more resources to their digital marketing efforts. Be realistic. Put a solid process and plan in place that has SMART goals and priorities to address quick wins up front. Monitor and measure results regularly and tweak based on insights. Our next post will cover some of the best free and paid tools to use when conducting a digital competitive analysis so be sure to keep an eye out for it! 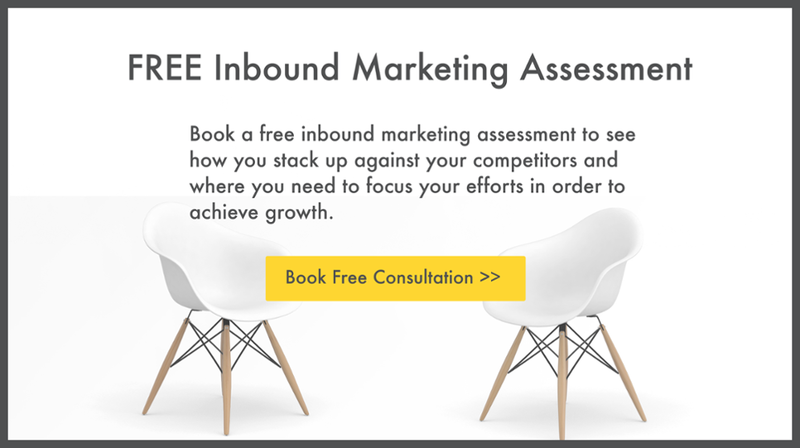 In the meantime, if you need any advice on completing a competitive analysis please feel free to contact me at sinead@webjourney.ie or book a Free Inbound Marketing Assessment by clicking below where we can help you assess your current marketing efforts, gaps and make recommendations for improvements.